RTM Productions is a full-service television production company specializing in automotive, outdoor, and entertainment programming. 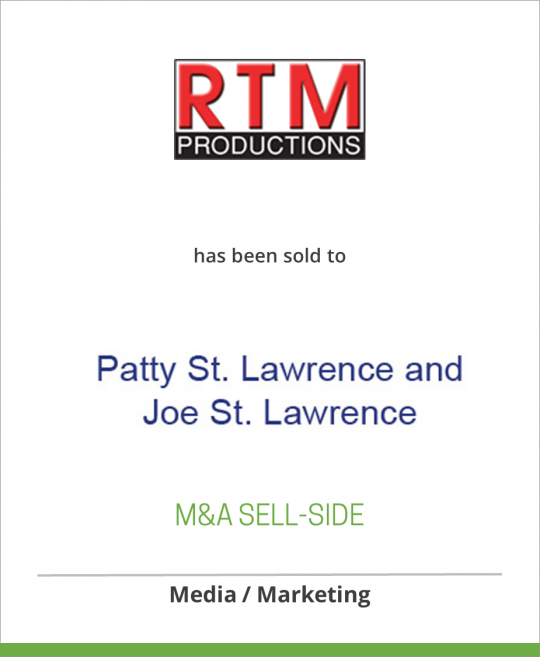 RTM employs a staff of 35 producers, writers, talent, videographers, and editors and is vertically integrated providing all production services – studios, cameras and post-production in house. RTM’s offices and editing facilities are located in Brentwood, Tennessee, a suburb of Nashville. The company also operates a dedicated studio facility in Madison, Tennessee plus a 1,200 acre wildlife area south of Nashville used for its outdoor productions. RTM has supplied program series and specials to ESPN, espn2, CBS Cable/TNN, The Outdoor Channel, as well as domestic syndication and international distribution. RTM has been recognized for it quality work with 13 Emmy Awards. Lagardere North America is a subsidiary of Hachette Filipacchi Media and is located in New York City.